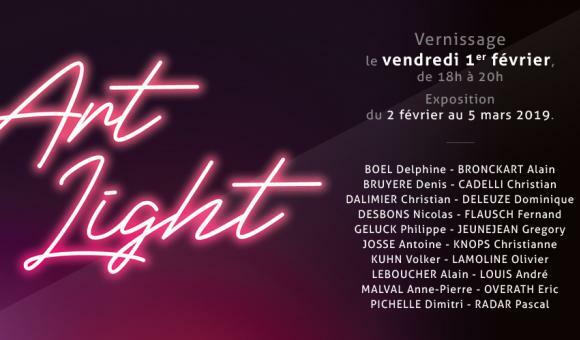 Art Light is a new exhibition based around light and is open from 1 February to 5 March at the Galerie Liehrmann, a landmark venue for art in Liège. "Because light is life. It accompanies us! Light arouses curiosity and allows us to discover thousands of things. An artist can use it and thus subtly inhabit a space. The richness of this light lies in its diversity, as can be seen in this wonderful exhibition. For one month, the exhibition will display works by 20 national and international artists who have been impassioned by light." Visitors can discover the work of major artists such as Delphine Boël, Alain Bronckart, Denis Bruyère, Christian Cadelli, Fernand Flausch and Philippe Geluck. Not forgetting Christian Dalimier, a Walloon cabinet-maker who specialises in mice... made of wood. He is exhibiting two large rodents created for the event: one has bulbs in its ears and the other has a ball balanced on the end of its snout. These two large mice will definitely enlighten you!